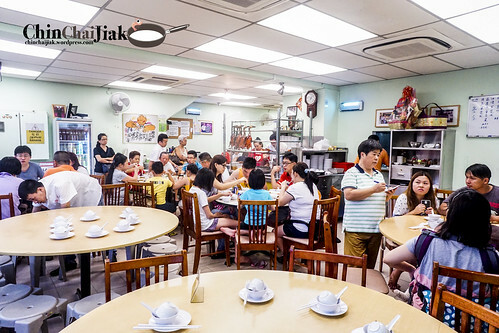 Sum’s Kitchen (深記) is an air-conditioned Cze Char eatery at Sembawang area just opposite the famous Sembawang White Bee Hoon. 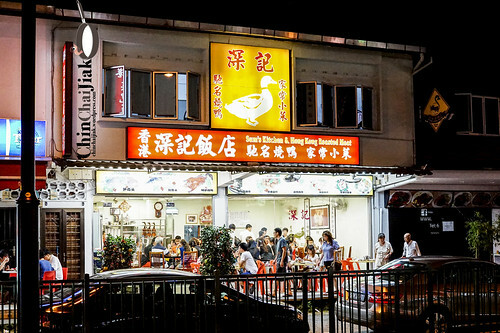 They are rather well known among the heartlanders in Sembawang and many agree that they serve one of the best roast duck in Singapore. My friend had to call in a couple of days in advance to reserve the duck because they will only roast a handful of ducks, in additional to the order on their reservation list. 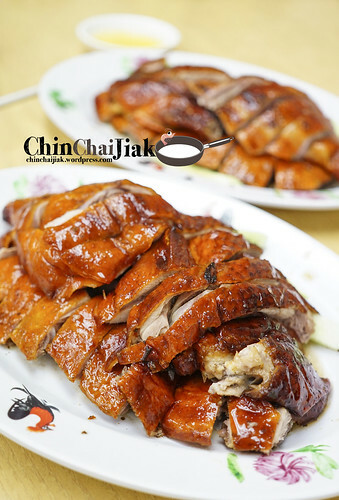 The roast duck is Sum’s Kitchen signature dish. At $20.00 for half a duck in an aircon environment, it’s pretty reasonable. I wouldn’t say the meat is succulent but it’s juicy for a roast duck. The stack of meat is soaked in it’s savoury spice-infused stuffing juice and adds on a delightful fragrance to the duck. 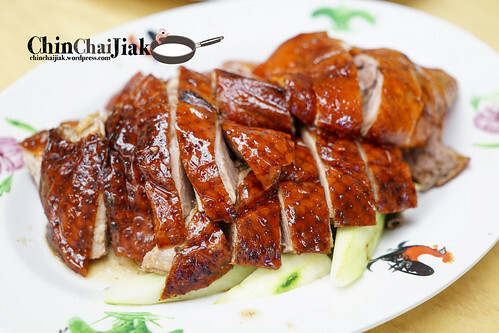 The duck is meaty and greasy in a good way and has almost zero fowl taste. Although the skin is crispy, it is not to the extend of crackling. If there is one thing to improve, it’s probably the skin. 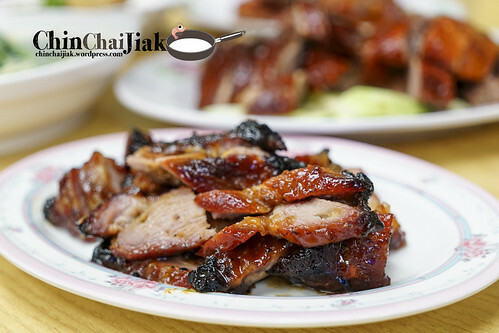 People who like the unhealthy version of Char Siew will like this. It is very charred, or overly charred to some people. It’s succulent, with a good mix of fatty and lean part and not overly sweet. This is one dish that I like very much apart from the duck. 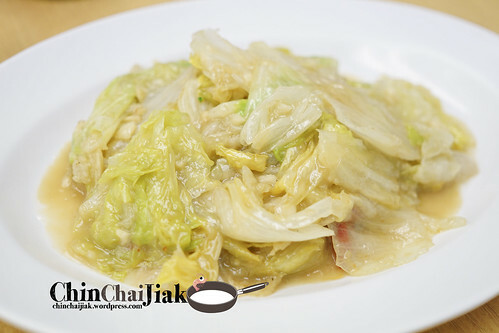 It’s actually quite a simple dish where they stir fry lettuce in fermented bean curd paste (腐乳). The paste taste of a blend of soybeans, sesame oil and a bit of vinegar and rice wine. 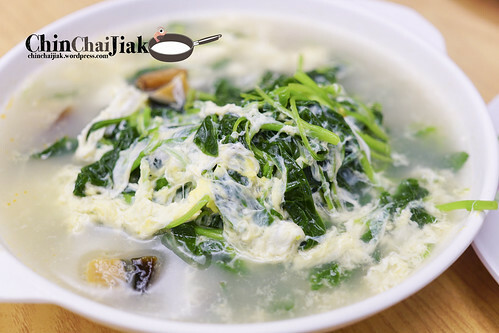 The lettuce is cooked till mid soft and while lettuce don’t have a distinctive taste to begin with, the taste is pretty much focus on the texture of lettuce and the beancurd paste. Love the home cooked taste of this dish. i will order this vegetable whenever it’s on the menu. I had tried many versions of this dish and Sam’s Kitchen’s version is lighter in taste. 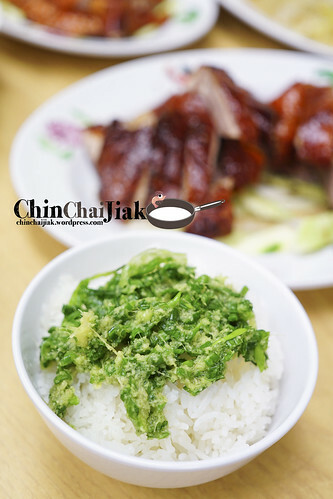 The Chinese Spinach is cooked to the appropriate softness and comparing to some, theirs has a lighter garlic taste. I personally prefer a soup that is more rich and robust so i will just rate this as an “okay”. This is a rather interesting dish whereby layers of thin beancurd skin is rolled up, battered, deep fried and toss in a mix of crispy chilli, salt and pepper. 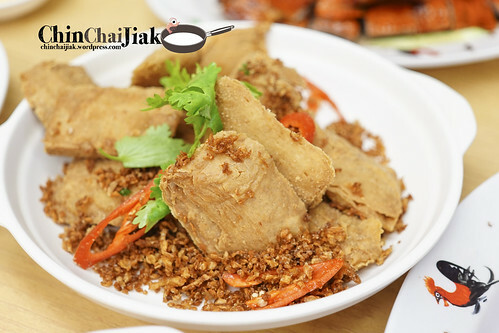 The exterior is cripsy while the center is softer, and retaining the sweet beancurd taste. 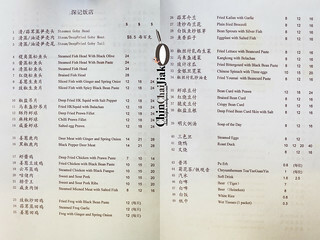 Apart from the main dishes, Sam’s Kitchen also offer a bottle of condiment that consist of a mixture of spring onion and ginger. It goes exceptionally well with the white rice and i can finish the bowl of rice with this condiment alone. 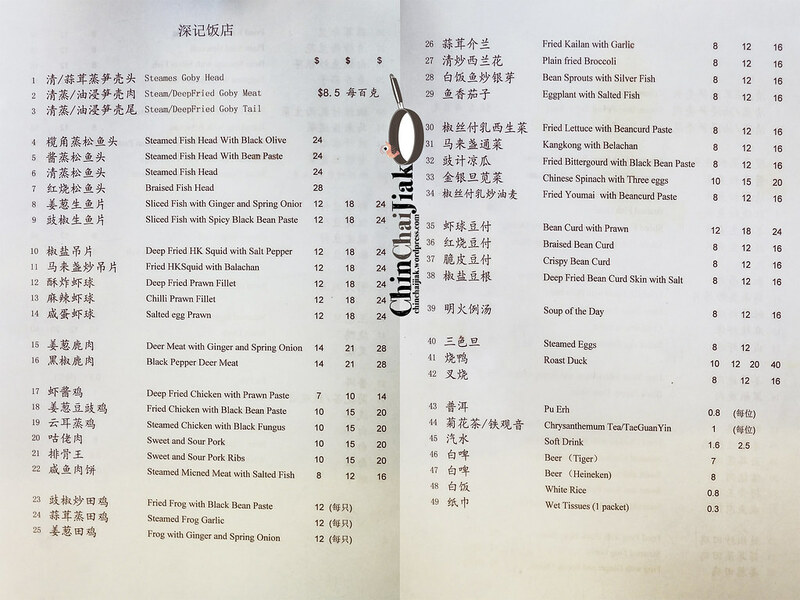 The dishes that i had here are mostly above average and my personal favourites are the duck, lettuce and fried bean curd skin. Price wise, it is slightly more pricey than a typical coffee shop Cze Char but for the more comfortable dining environment and better food, the price difference is not that significant. My friend highly recommend their deep fried HK squid with salt and pepper but since many of us don’t appreciate squid, we didn’t order it. Overall I enjoyed my dining experience here, comparing to the very popular Bee Hoon eatery that is just situated opposite Sum’s Kitchen. Sum’s Kitchen don’t exactly offers the most exciting kind of food that makes people go “wow”, but i kinda like the homely taste. And if you want to try their roast duck, remember to call in advance to reserve to avoid disappointment.